I feel really old saying this, but when I get home from work at 6PM, making dinner is seriously the last thing I want to worry about. When I only have five hours to myself everyday, I really try to make those count! I would much rather be writing my blog, creeping on Facebook, working on my web coding, editing videos, playing around on Illustrator, etc., all instead of making dinner. 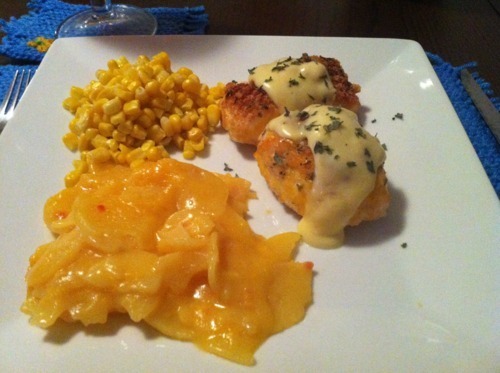 I love baking and decorating delicious sweet treats, but dinners just don’t grab my attention in the same way. People often suggest crock pot meals to me the second I verbalize this complaint. My response is that it’s hard enough to get me to make dinner when I’m hungry, let alone the night before (or god-forbid in the morning!). Ranting aside, even if I don’t like making, dinner, I like eating dinner, which lands me in an unfortunate place. I found this recipe on Pinterest (shocking, I know), and thought it really hit the nail on the head. It was delicious and seriously easy. There are three steps: cut, dunk, bake! Pretty cheap, too! This one’s for all of you 20-something people out there who feel me. 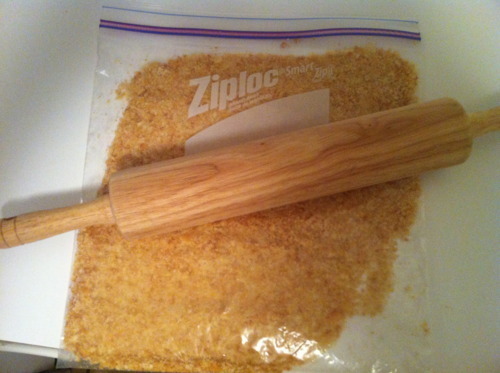 Use a rolling pin, blender, food processor or your hands to grind up the crackers. 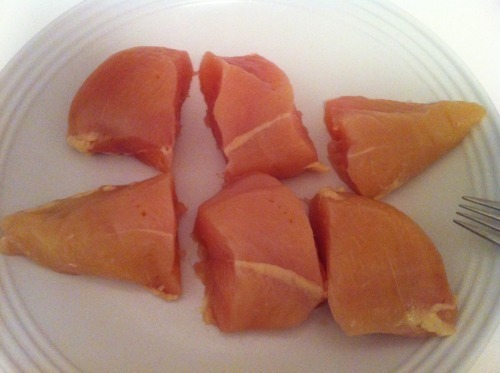 Cut each chicken breast in thirds. 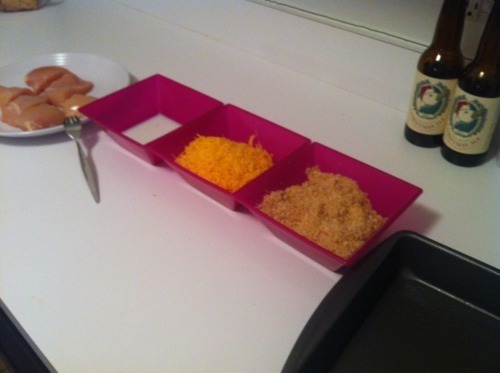 Place the milk, cheese and cracker crumbs in separate bowls. 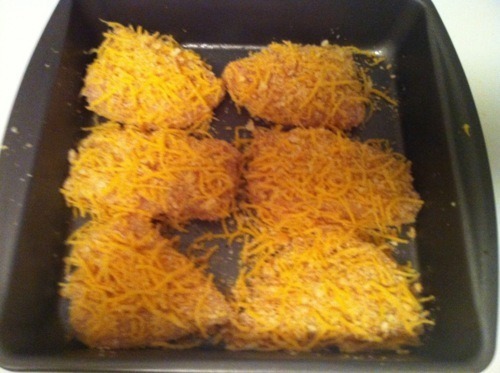 Bake at 400ºF for 35 minutes. And done! Unless you want the sauce, which is good but not great. It all depends on how ambitious you’re feeling. I’ll tell you how and you can decide for yourself. 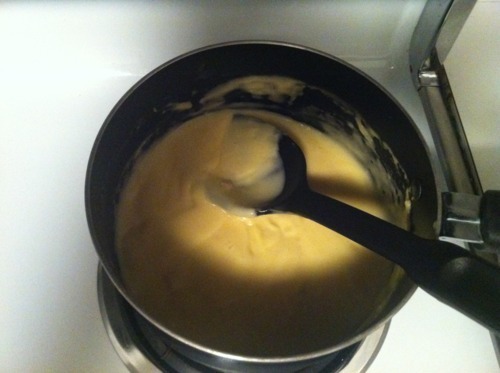 Combine all sauce ingredients in a medium sauce pan with a whisk over medium heat until warm. That’s all! 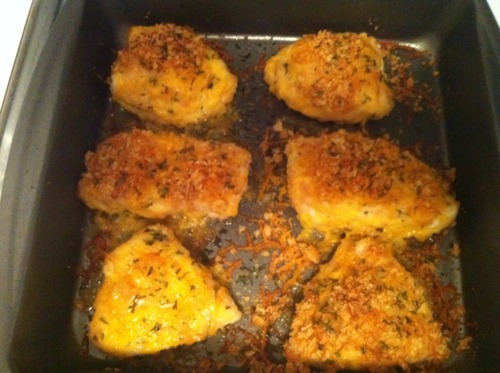 To serve, pour a spoonful of sauce over the chicken and top with parsley in you like.